On 8th March 2019, AFS India received an invitation to conduct an Intercultural Competence Training for a group of staffers of AKG India Pvt. Ltd. an external non-AFS organization located in Coimbatore, Tamil Nadu. The training was facilitated by Aadil Fahim, Chief Marketing and Development Officer of AFS India. Through a one-day workshop, participants were given the tools and resources to navigate in a new cultural setting while taking their first step towards becoming an intercultural competent individual. With different learning objectives, sessions like Definition & Concept of Culture; Stereotypes & Generalizations; Cultural Values & Dimensions and Communication Styles were conducted. The sessions were designed to be interactive and activity-based so that participants could understand the need to be interculturally competent while being in a different cultural environment. At the end of the workshop, participants were able to explore various aspects of culture and learned how to navigate in a new cultural setting while being curious and empathetic. They were also informed about business conduct and etiquettes. The training saw a special session facilitated by experts from Turkey focusing on understanding Turkish Culture & Traditions. We’re grateful to AFS Turkey for collaborating and helping us get an expert who shared her insights about Turkey. We also had the opportunity to have Kaan Cicigun, an AFS Exchange Student from Turkey, who interacted with the participants and shared his reflections about the cultural values and best practices. He enabled the understanding of cultural similarities and differences while retrospecting in his mind the experiences of being in both countries, Turkey and India. We look forward to creating more collaborations and partnerships with external organizations in the year 2019. 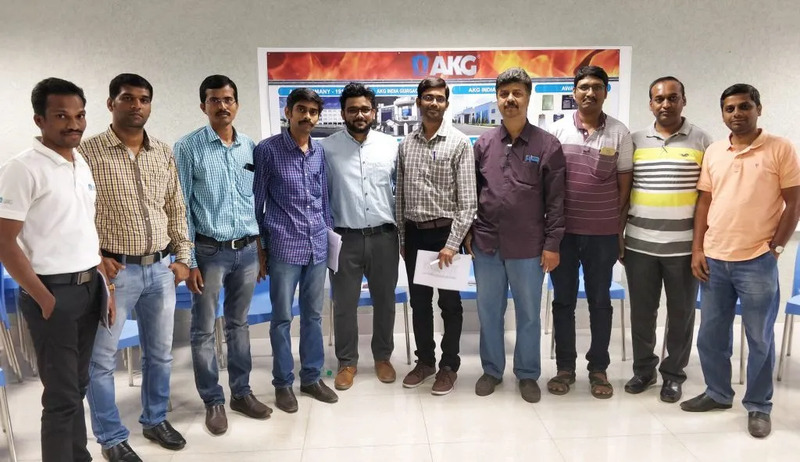 As a leading supplier of customer-oriented solutions, AKG has acquired an internationally acclaimed reputation for producing reliable, high-quality radiators and heat exchangers. The AKG Verwaltungsgesellschaft (holding company) in Hofgeismar directs the operation of the AKG Group, whose 2,500 employees produce over 2,5 million heat exchangers in various designs each year. To achieve this, 12 business units in Germany, France, Latvia, Turkey, India, USA, Brazil and China as well as 10 oversea sales companies are in operation twenty-four hours per day.